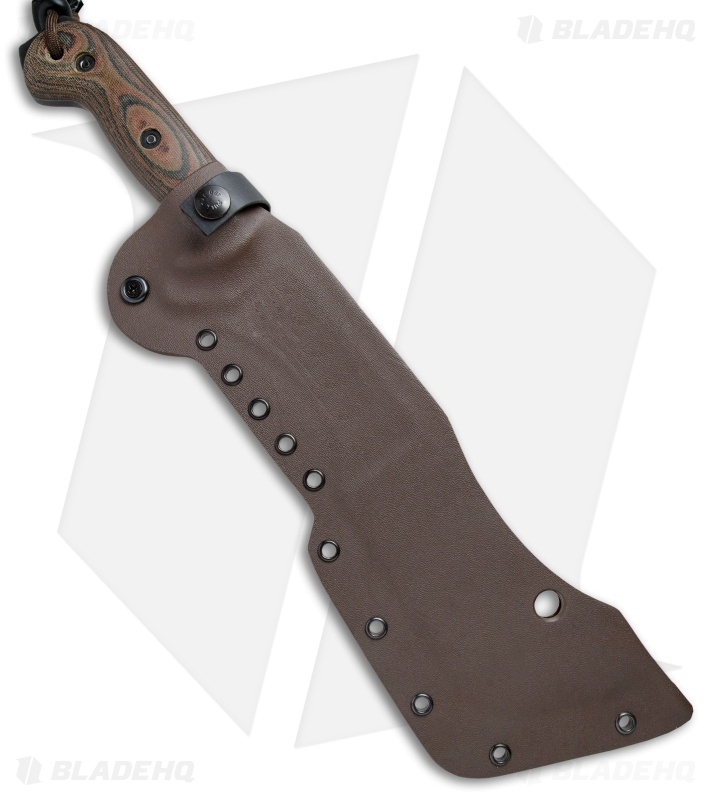 This M-18 knife is paired with a black/brown Micarta handle and a brown Kydex sheath. The T.M. Hunt M-18 is a versatile wilderness tool built to tackle a slew of outdoor tasks like woodworking, chopping, skinning, and other finer chores with ease. It's blade is made from thick O1 tool steel with a full, extended tang and a durable ferric acid treatment. 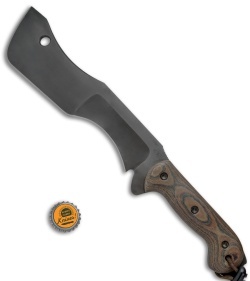 The contoured Micarta handle fills the hand comfortably, and ensures a secure grip during your toughest jobs. 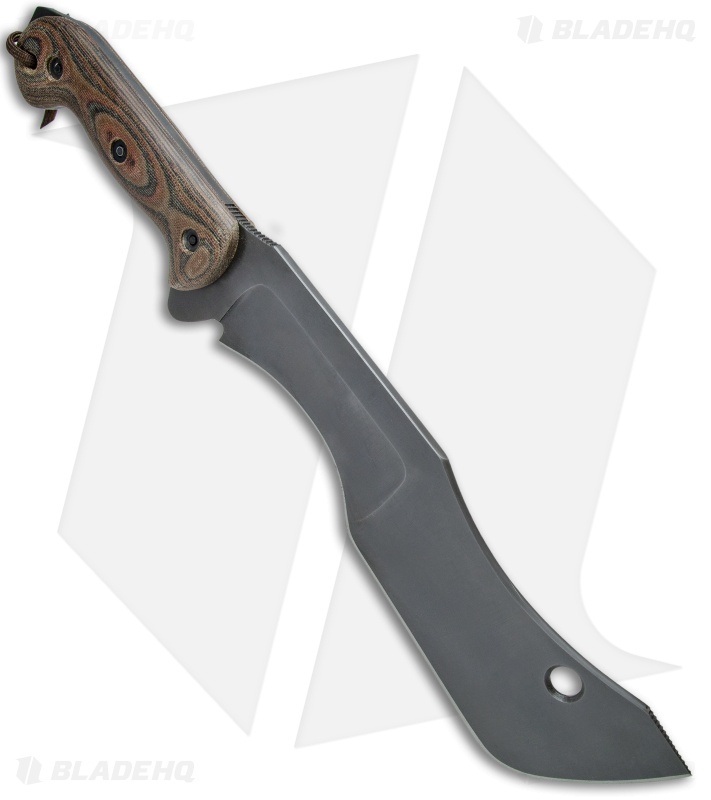 If you're looking to slim down your loadout, the M-18 is one fixed blade that will outperform many. 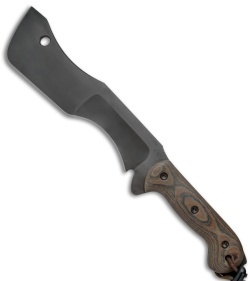 Unique blade geometry designed to tackle anything and everything outdoors. Rounded scales and well placed jimping provide a comfortable grip and precise blade control. Open-top Kydex sheath design for a quick and easy draw.